An easy game for beginners. 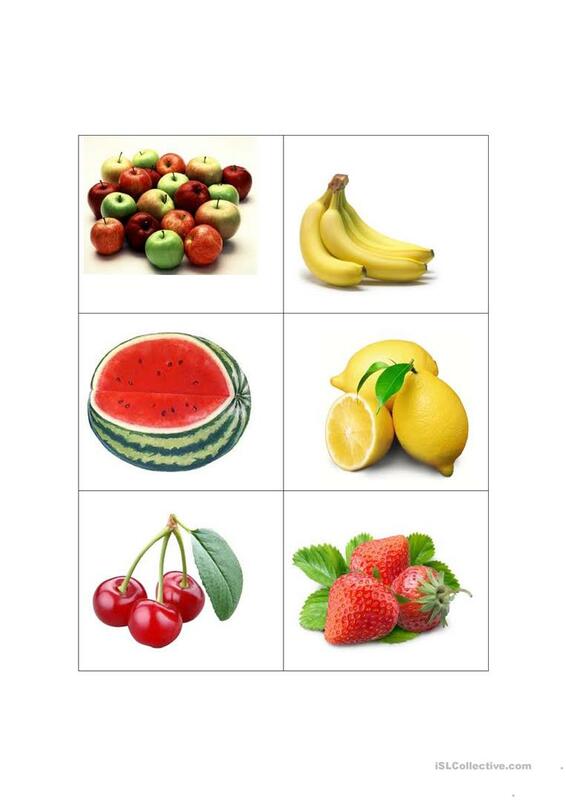 Practice the names of common fruits. Print 2 sets of cards on thick paper- cut out and use for a memory game. Who will remember the names and have the best memory? The present downloadable worksheet was created for elementary school students and kindergartners and nursery school students at Beginner (pre-A1), Elementary (A1) and Pre-intermediate (A2) level. It can be used for strengthening your students' Speaking skills. It features the theme of Food. kifissia is from/lives in United States and has been a member of iSLCollective since 2011-10-12 07:37:58. kifissia last logged in on 2019-04-25 05:17:59, and has shared 385 resources on iSLCollective so far.